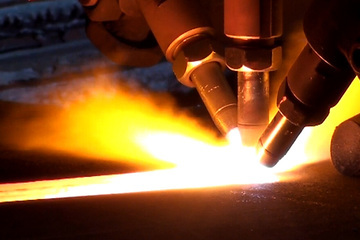 As part of Murray Steel Products' commitment to supplying the best processed materials, we have invested in Hypertherm’s True Hole Technology to offer our customers plasma cut bolt holes of unmatched quality. This equipment produces significantly better hole quality than had previously been possible using plasma, helping to virtually eliminate hole taper and making the plasma process suitable for many jobs previously cut with laser. Contact us about accurate plasma cut bolt holes for your steel products.